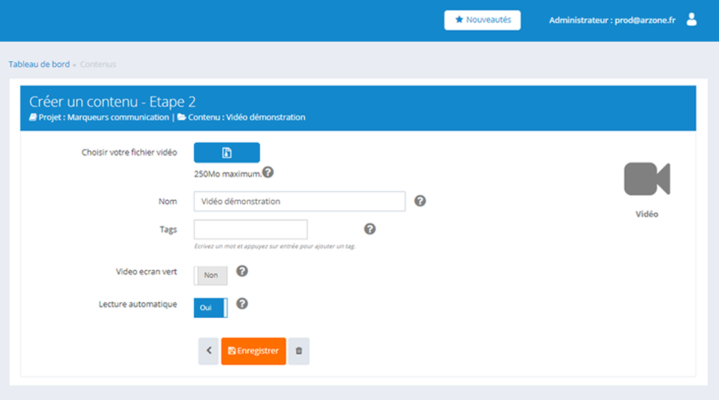 New options and features are available to simplify their integration into the interface and improve the user experience! You can now add videos with a size up to 250Mo against 15Mo previously. A new option allows you to enable auto-play, i.e. automatic video launch. Once the support is scanned, the video will automatically launch to accentuate the wow effect! You can now choose the orientation of your videos in the increase interface. Your videos can be tilted 90° on your media to give more volume to your prints. This entry was posted in Non classé and tagged features, vidéos.